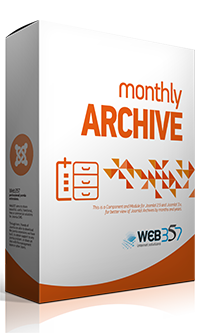 A new version of Monthly Archive has been released. + [New Module Feature] In the module settings, you can choose to display a select box with Months and Years. ^ [CSS Improvement] In the extension parameters, the class "btn-group-yesno", replaced with "btn-group btn-group".